Conquest HD made in Germany by Zeiss is a real specialist and perfect companion for twilight observations due to 56 mm lenses. Together with outstanding brightness is a result of premium HD lens system and Extra-low dispersion (ED) glass that significantly enhances colors, contrast, resolution and minimizes internal reflections, view through is bright even in the most challenging light conditions. 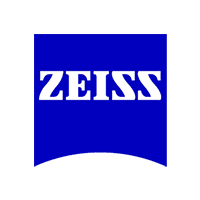 Multi-layer coatings of ZEISS T* also helps with light gathering ability (90%+) and reduces flaring. Suitable for hunting, marine and astronomy applications, this Conquest HD also offers good field of view that helps you to observe fast and small moving objects. This Abbe-König prism system helps with sleek and slender design and weights this model down to ease your portability. They are lightweight and comfortable to use, with small rubber eyecups that feels very nice and very quick and grippy central focus wheel for precise adjustment with the help of right-eye diopter. Eyecups have a four click-stops for adjusting the proper eye-relief. If firmly hold, this model still offers enough steady images for perfect clear viewing. Zeiss Conquest HD made in Germany by Zeiss offers one of the best versatile binoculars on the market. Very bright view-through is a result of HD lens system, extra-low dispersion glass and multi-layer ZEISS T* coatings that provides 90% of light transmission rate. This optics innovations together with phase correction provides amazingly bright and colorful images. Incredible resolution from edge to edge and minimized flaring and chromatic aberration satisfies even the most demanding users. You can choose among seven models, among which are the compacts, all-rounders and nighttime binoculars. When it comes to protection, Conquest HD features nitrogen filled housing tightly sealed for waterproof and fog-proof setting. Very beautiful elegant and modern design of this Conquest HD models is not only very appealing but also protects the inner housing with thick rubber armoring. You can use them without worrying even in the harshest weather conditions and challenging terrain with the help of LotuTec hydrophobic coating. Eyecups are multi-positioned with three click-stops, ideal for adjusting the proper eye-relief. Focusing is very quick and smooth with central focusing knob and right-eye diopter. 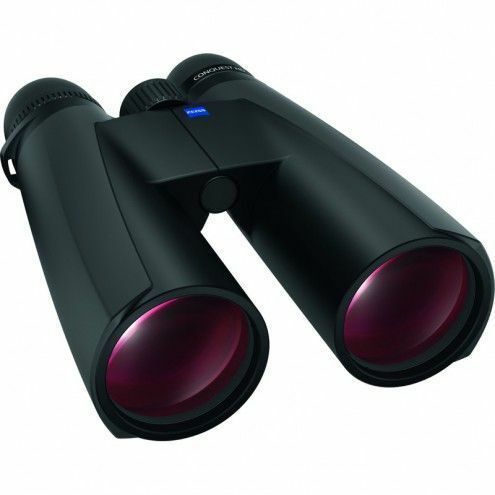 This pair of binoculars are for me, the best from all the roof type of binos. At the beginning, I wanted to buy the Swaro SLC 8x56. First, Abbe-Koenig prism, allowing 93% of light transmission. Only the Swarovski SLC 56 and these Zeiss Conquest 56 achieve this figure. The Swaro EL are "only" 90% (which is already amazing figure). Optically speaking, the tests made by independant reviewers show that the Zeiss Conquest 56 are as good (or even better) optically as the Swaro SLC 56. But optical qualities are "seen" (or not) differently from one person to another. So I went to a shop, and compared them. To my eyes (and brain), no difference. 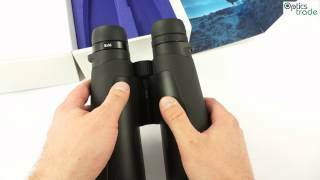 The Zeiss are built like a tank, and resist to almost everything (take a look at the durability test on YouTube to convince you). I have not seen Swaro daring doing this type of test (but I'm quite convinced somehow that the SLC would resist). The warranty is the same. the closest focus distance (better on the Zeiss). The weight (the SLC are lighter). At the end, the biggest difference is the price, the Zeiss costing 500 Eur less than the Swaro SLC. So at the end, why paying so much more for the same product, optically speaking?